There has been a trend of Americans 18 years or younger receiving both cosmetic nonsurgical and surgical treatments. Over 1,000 cosmetic Botox treatments serviced last year were performed on minors. There has also been a large trend of teenagers receiving autoplasty, or ear surgery. In fact, roughly 13,000 individuals 18 years and younger received autoplasty in 2013. While some teens receiving surgery or noninvasive treatments do it for medical purposes, there is an increasing number doing it for cosmetic reasons. It could be that they’re seeing an increase of Hollywood celebrities receive these services, like rumored Kylie Jenner lips enhanced by fillers or Teen Mom star Farrah Abraham and her multiple cosmetic surgeries. 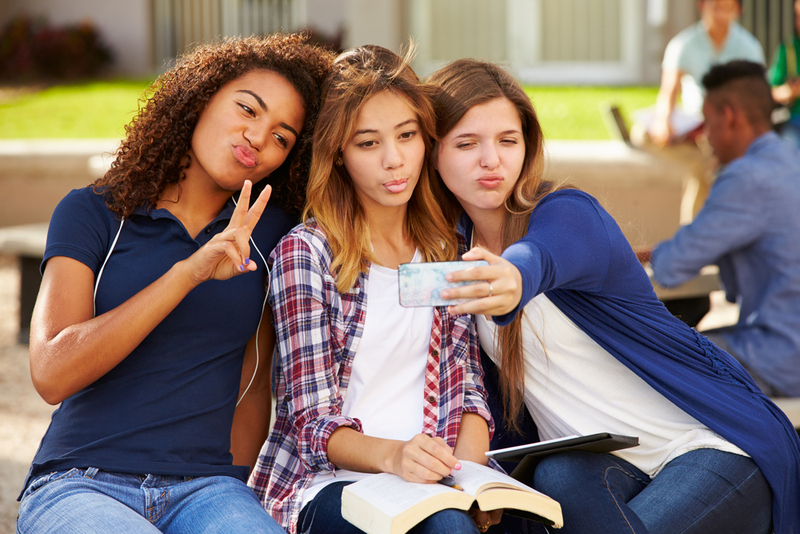 So why the spike in teen plastic surgery? According to the American Academy of Facial Plastic and Reconstructive Surgery survey data, celebrities might not be the biggest influential factor. Roughly 2/3 of doctors stated that bullying was one of the main reasons–for both adults and minors–to elect these cosmetic treatments. Negative social pressure can be a huge influence on how a person sees themselves in terms of what they believe they need to change. “Another report found that the social media selfie culture was encouraging more people to seek out plastic surgery,” Data Journalist Mona Chalabi told NPR. Internet culture is something that wasn’t as prominent 10 years ago. Everyone seems to have an online profile these days, most especially children and teenagers. The idea that they must hold themselves to a standard of perfection could be an influence on this growing trend. Overall, this a a billion dollar industry that continues to grow each year. The American Society for Aesthetic Plastic Surgery reported there were 5 million Botox treatments performed in the U.S. alone last year. Closely following were dermal fillers and laser hair removal. Medical professionals such as doctors, physicians, nurses, and others are capable of receiving training with these nonsurgical treatments. This includes Botox, dermal fillers, laser treatments, sclerotherapy, and more. National Laser Institute offers a two-week comprehensive course that thoroughly prepares medical professionals how to perform these treatments, including hands-on training. “My typical favorite patient is someone who’s excited when she’s finished, she’s happy…and she’s hugging you on her way out the door,” Kathleen Madsen, RN and graduate of National Laser Institute, says. The overarching reason of choosing nonsurgical or surgical cosmetic treatments may be because people, whether they are minors or not, want to not only look good but to create good self-esteem for themselves.